There is so much to do and see in and around Rock and it does have something for everyone! 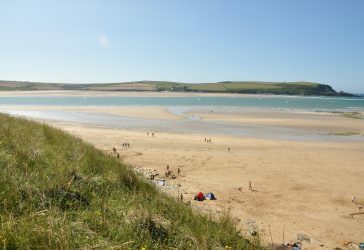 Nearby beaches to Rock include; Rock beach, Daymer Bay, Polzeath and across the estuary there is Padstow beach and Tregirls. 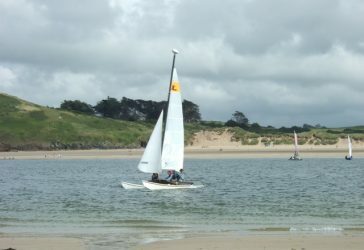 Polzeath is best for surfers and kite surfers will enjoy Daymer. Dogs are welcome all year at Daymer and Rock beach. Probably one of the best foodie areas outside of London. Choose from incredible restaurants in: Rock – Nathan Outlaw, The Dining Room, One Rock Road. 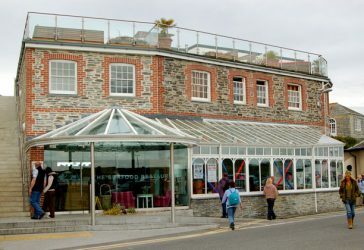 Padstow – Paul Ainsworth at No6, Rick Stein’s Seafood restaurant, Margots Bistro, Rojano’s. 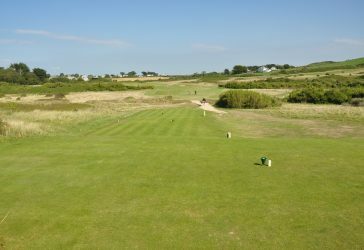 Just a very short walk from Bay Cottage is the prestigious St Enodoc Golf course. Try either of their two superb courses or you can take a short drive to The Point at Polzeath or Trevose Golf Club. There is also a 9 hole course at nearby St Kew Highway. There are many beautiful walks right from the doorstep of Bay Cottage. You can walk across Rock beach, around to Daymer bay and Polzeath. 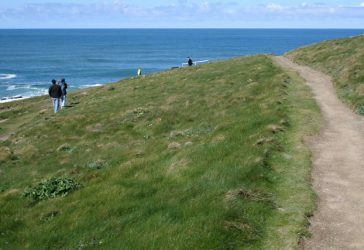 For the more adventurous you can walk even further around to Pentire head and The Rumps. If you catch the water taxi to Padstow, you can pick up the coast path again and walk for miles! A watersports paradise. In Rock, you can choose from; Sailing, Scuba diving, boat fishing, water skiing, boat charters, wake boarding, kayaking, powerboat tours and much more! 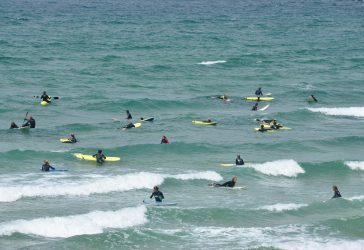 Polzeath gives you access to surfing, body boarding, paddle boarding and coasteering. 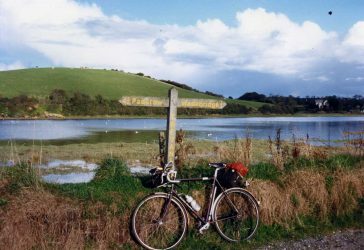 Cycle down to the water taxi, pop over to Padstow and then cycle the glorious Camel Trail for miles and miles. If you don’t have a bike, don’t worry, there are numerous cycle hire companies in Padstow or Wadebridge that can help you out with bikes, baby bike buggies, dog buggies, tandem bikes and much more! Choose from many pubs in the local area including; Rock – Rock Inn, Mariners & The Pityme Inn. Polzeath – The Oystercatcher. 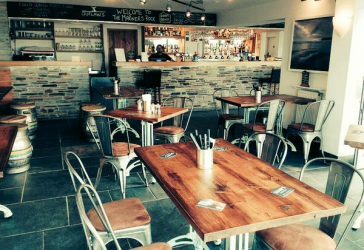 Padstow – Many pubs to choose from including – The Old Ship, Customs, The Shipwrights, Malsters Arms in Chapel Amble and St Kew Inn in St Kew. 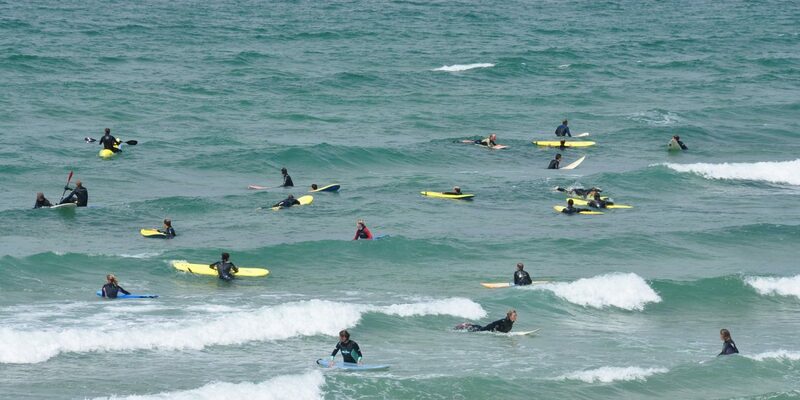 If you are a novice or a near professional surfer, the conditions at Polzeath can be world class. Polzeath is great for surfing, body boarding and paddle boarding. If you’re not sure what to do, there are a number of beach based surf schools and if you have no gear you can hire you everything that you need.